No smoking! We are completely surrounded by National Forest, and a careless ash could cause a catastrophe! Keep your children with you at all times! The forest is home to many animals that don't respect property boundaries. Some of them are predators. We have a pond. You are responsible to keep your children with you! Please keep your dogs in the car! We have livestock. Families with small children come and we don't want anyone or any animals injured. Please wear sensible shoes and watch your footing! 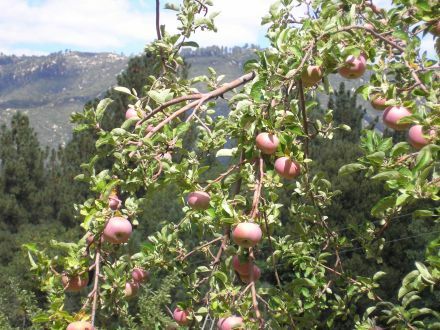 Our orchard is in the mountains, and tennis shoes or hiking boots are recommended. We have uneven terrain, wild roses with thorns, ground squirrel holes, rocks, snakes and other hazards that you must watch out for. Our ranch is down a long dirt Forest Service road that is rocky and must be taken slowly and carefully. The Forest Service recommends high clearance vehicles for these roads. It is one lane but there are places wide enough for one car to pull off and allow oncoming traffic to pass. No throwing apples! We don't want to see any of our customers hurt. In the same vein, please don't abuse our equipment or our trees! 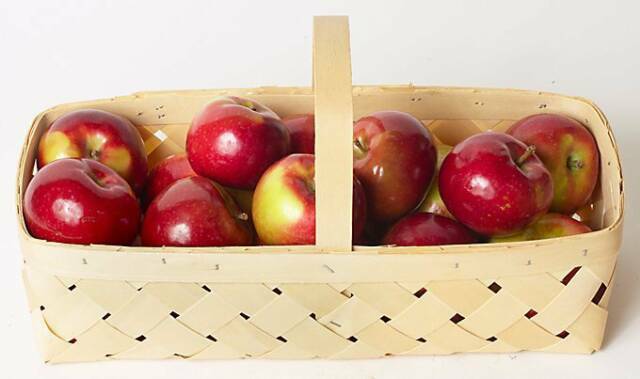 We provide the use of long handled fruit pickers that have a foam pad in them to protect the apples from bruising. When you return the picker, please ensure that the foam pad is still there. We have seen people jousting with our pickers, and whacking trees. If we see you or someone in your party doing this, or anything else dangerous or destructive, you will be asked to leave. If you damage our equipment or trees, you will be asked to pay for the damages. Please take no more than three long handled fruit pickers per party. Our orchard is organic. You will find that some of the apples have coddling moth holes. if you pick an apple that only has one hole, that is yours to buy. Two or more holes may be placed in one of the buckets that are placed in the orchard for that purpose. These apples are still good for other uses. They can be used for cider making, cooking, fresh eating or livestock. If you are interested in buying these apples at a discount, please ask! 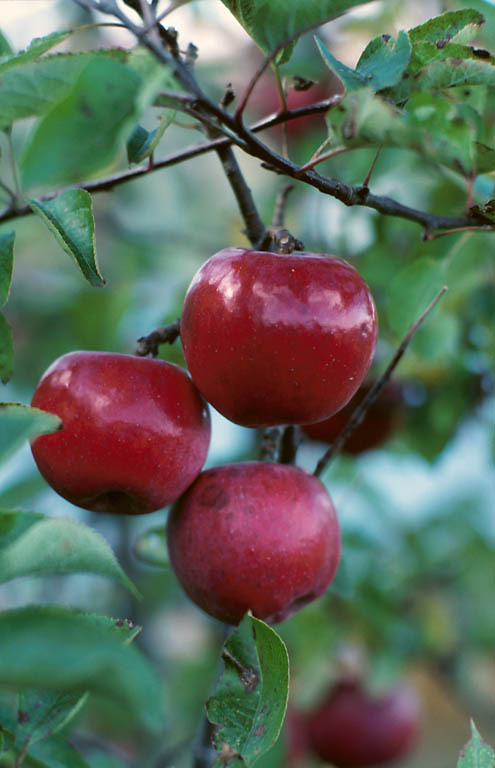 Our apples are so crispy, juicy and delicious, they make grocery store apples green with envy! Our orchard was planted in 1912 by the Stetson family. 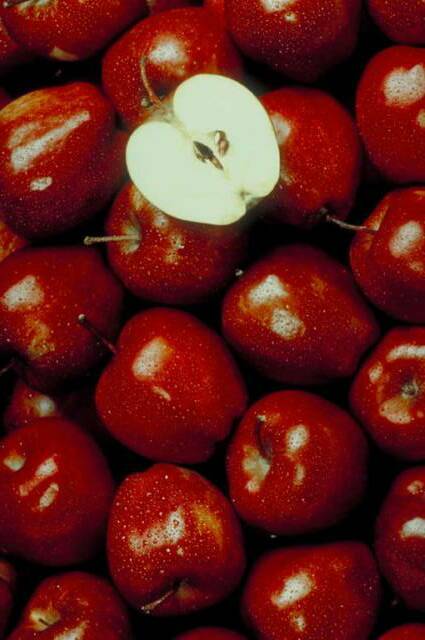 The varieties are Rome Beauty, Red Rome, Red McIntosh, Winesap, Stayman, Red Delicious and others. ​We Open September 21, 2018 and will be open every Thursday, Friday, Saturday and Sunday throughout the apple season!